The Petface Farmyard Buddies Moo Stick is a stuffed, farmyard themed dog toy. The soft brown cord body offers an interesting texture for your dog's mouth while the smooth texture on the face and limbs offer contrast. 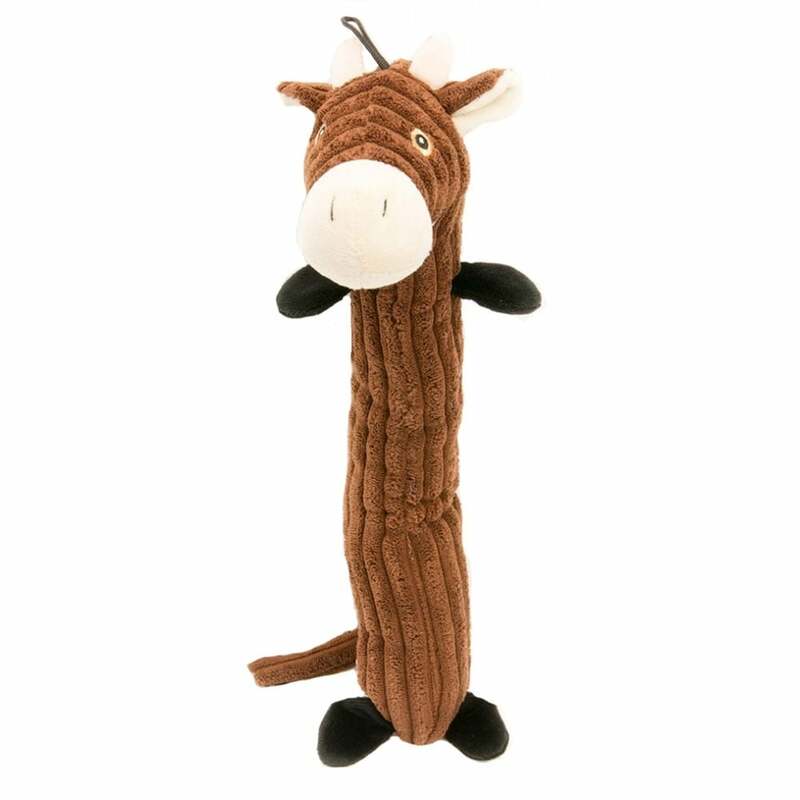 The Moo Stick has a squeaker in the main body and at approximately 14 inches this toy is suitable for most breeds due to the narrow body shape.